Couldn’t swing a coveted ticket to SAVOR? Not to worry, we’ve got your back. After working our way through generous samples from 76 of the best craft breweries in America, we’ve put together the CliffsNotes version you became so familiar with in high school (damn you Wuthering Heights!). 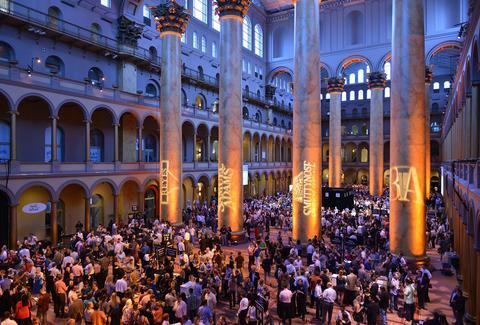 Here are seven things we learned at SAVOR that could seriously benefit your beer-drinking ambitions. Okay Marylanders and wannabe Marylanders, your wish has been granted. 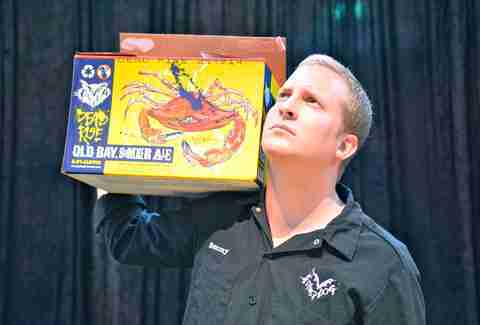 Behold: Flying Dog’s Old Bay Summer Ale, aka "Dead Rise". SAVOR marked the debut of this spicy beauty (5.6% ABV). The name refers to deadrise boats, which are commercial crabbing vessels specifically designed to navigate the Chesapeake Bay. It’ll be widely available come Memorial Day for assistance in crab consumption. 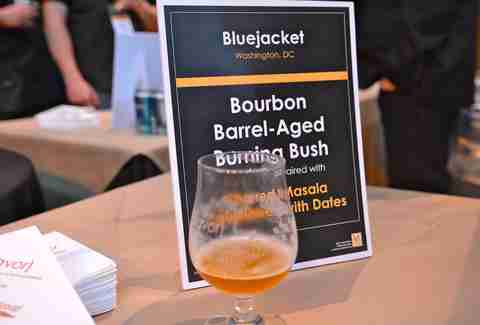 SAVOR attendees were the first to try Bluejacket’s first bourbon barrel-aged beer. Burning Bush is a tripel (7.0% ABV) brewed with a full lemon bergamot bush that has been refermented for six months with three strains of brettanomyces. It’s then aged for three months in two different James E. Pepper 1776 Bourbon Oak Barrels. Bluejacket plans to work it into their draft lineup soon. Consider a weekend beer exploration trip to Richmond. They’ve got some great breweries putting out quality beers. Just don’t giggle when you arrive at Lickinghole Creek Craft Brewery (Lickinghole for short!) 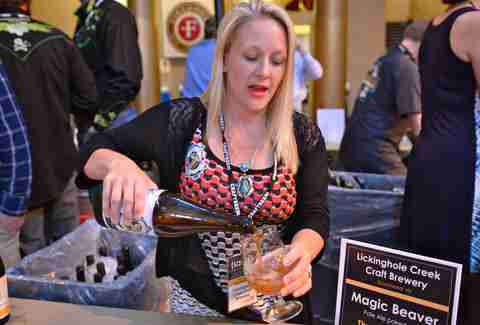 and are offered a pour of Magic Beaver, a tasty pale ale (5.5% ABV). Stop by Strangeways Brewing while you’re at it, their WHAP! Sorachi Sour Ale (4.8% ABV) is a puckering good time. You gotta love a beer named for a Batman sound effect. Some of the most buzzed about beers at SAVOR got a little help from the fruit section of the food pyramid. Allagash Brewing Company had the longest line because everyone wanted to try Coolship Red (5.7% ABV) -- a spontaneously fermented beer boosted by the addition of local raspberries. 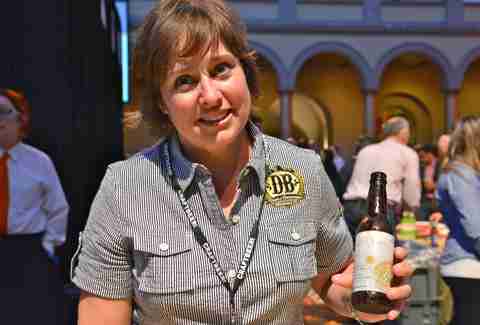 Meanwhile, Devil’s Backbone was pouring their crisp Pear Lager (4.4% ABV). 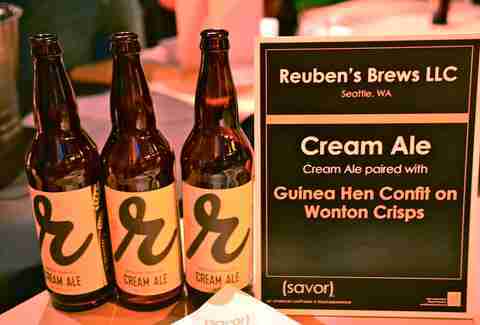 Cream ales, like this one from Reuben’s Brews in Seattle, get their creamy, chowder-like richness from flecks of corn. Reuben’s co-founder and brewmaster Adam Robbings says he adds about 3lbs of flecked corn per barrel of beer, which imparts a distinct and crave-worthy honey butter flavor. They make beer, too! Well -- beer that’s aged in bourbon barrels of course! The Kentucky Bourbon Barrel Ale (8.2% ABV!!) 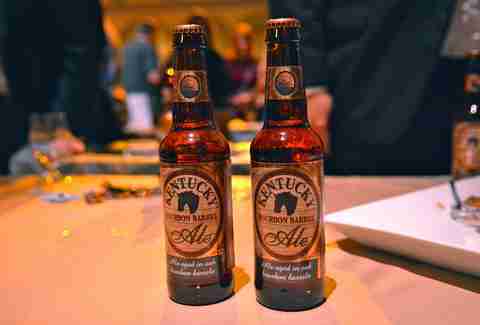 from Lexington Brewing and Distilling Company tasted like a mouthful of Werther's. The brewers had to work hard to convince us that the beer doesn’t receive a squeeze of caramel or butterscotch -- banana split-style. They attribute 100% of the burnt sugary aroma and flavor to the barrel-aging process that lasts about six weeks. Each pour of beer at SAVOR was carefully paired with the perfect bite. For example, a sip of saison was served alongside a nibble of cured salmon with lardo butter and powdered lemon. But topping it all was a special craft beer and artisanal donut pairing class taught by Tiffany MacIsaac from GBD. 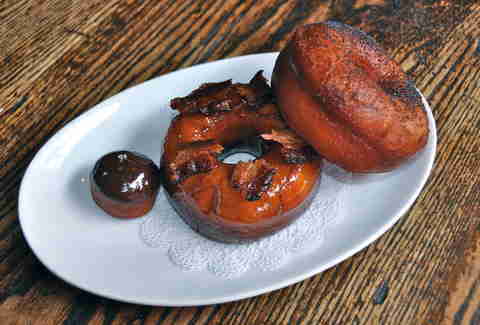 She demonstrated how her house-made donuts flawlessly pair with four different Stone Brewing Co. beers.